A postdoctoral position can be a stepping stone to a pathway in academia. In the arts, social sciences and humanities it is becoming increasingly common for a postdoctoral position as part of the route to an academic career, and in STEMM disciplines the most common route to an academic career is via one (or more) postdoctoral positions, possibly followed by a fellowship and then a lectureship. There are over 100 universities in the UK alone, yet academia is a highly competitive field to enter, particularly for early career researchers. There are relatively few permanent research posts available, primarily due to the way research is funded. The Careers in Research Online Survey (2015) reported that 74% of research staff in the UK are employed on fixed-term contracts. Mentor: Identify an experienced mentor who can advise you on developing your academic career. 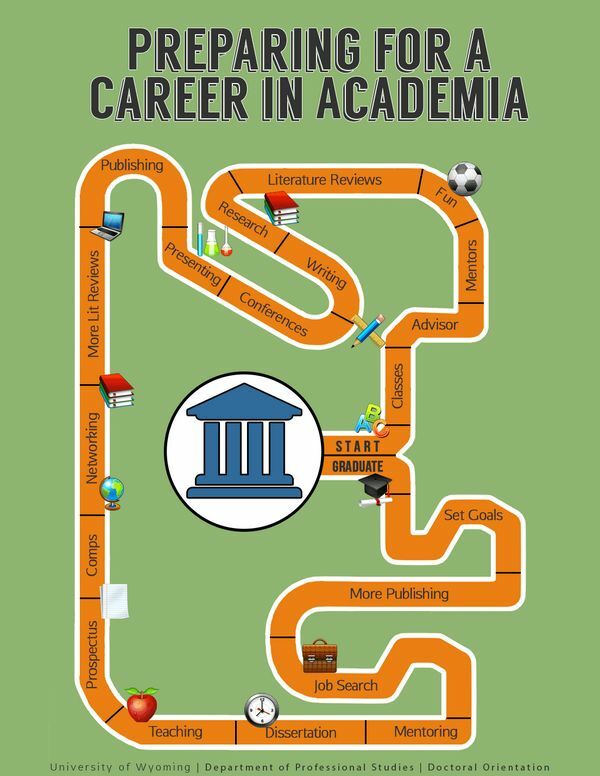 Also talk to academics in your department about their roles and how they got an academic post. Research outputs: Aim to publish in high-quality, well-recognised journals, present at internationally-recognised conferences, with well-recognised book publishers, etc. Aim for quality over quantity and publish open access wherever possible to increase the visibility of your work and its citations. If you have not published before then a good strategy is to produce a paper for a workshop, then to a first-class conference, then submit a paper to a top-tier journal. Research funding: Having experience of applying for and securing external funding for research will stand you in good stead when applying for academic positions as these are sought after skills. Teaching experience: This will be extremely valuable when applying for academic positions. If this isn’t part of your current job role then see whether you can volunteer to undertake some teaching. Training and development: Engage in a programme of training and development. The Vitae Researcher Development Framework provides a comprehensive way of planning and recording your development and forms the basis of BU’s BRAD programme with workshops and courses available during the year. Project management: This is a key skill for academics as research projects need to deliver their outcomes on time and within budget. Try and get experience of budget management and producing interim/final reports for projects and undertake training on project management skills. Networking: Present at conferences to raise your profile and as a catalyst for publications. Ensure you have business cards to hand out to those you meet as they could be potential collaborators, employers, etc. Make use of social media (such as Twitter) to make new contacts, join networks, keep up to date with developments in the HE sector and in your field, and promote your research. Keep an eye on the REF: Although not the be all and end all of research, the REF is highly influential in the sector and the mechanisms it uses to assess the quality of research do tend to impact upon how academic research is valued. Dr Zoe Sheppard is Senior Lecturer in the Faculty of Health and Social Sciences. She spent a number of years working as a researcher before making the transition to senior lecturer. Read Zoe’s case study for information on her career progression. Vitae’s information on pursuing an academic career is particularly useful. The University of Manchester has produced a comprehensive guide on what it takes to be an academic. This guide by AGCAS on getting your first lecturing job is also extremely informative. The RCUK webpages feature case studies highlighting the opportunities research skills can give. The case studies can be found at http://www.rcuk.ac.uk/careersinresearch.